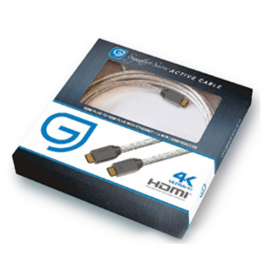 HDMI 2.0b compliant lead with Ethernet and 4K compatibility Fitted with the latest chipset to provide you with a true 4K signal at 4:4:4 60Hz and a bandwidth up to 18Gbps. These are directional cables that only function when connected correctly. The monitor end is clearly marked on the relevant plug and this must be connected to the screen.